The Bavarian Mountain Hound originates from Germany and was the result of deliberate crossing the Hanover hound with the Bavarian, to produce a talented scent hound that was strong and trainable. 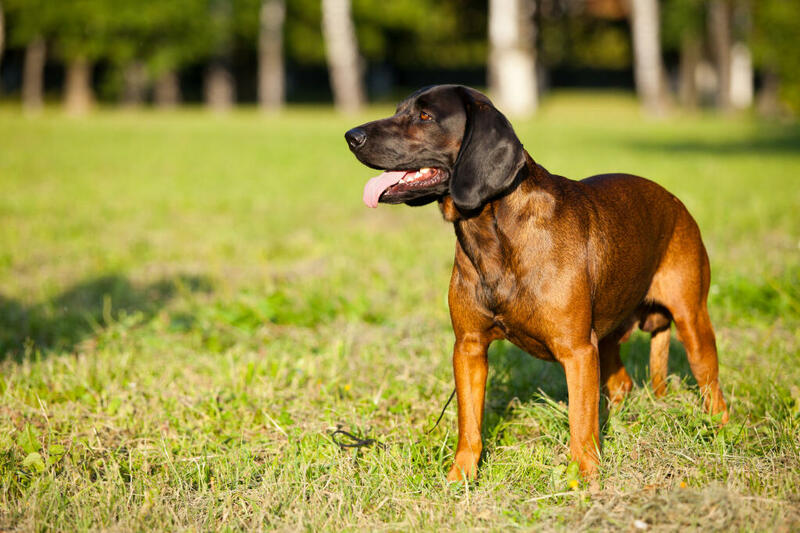 They were used by hunters to track large injured game across the Hilly regions and due to their lighter frame and smaller size, these dogs proved efficient at the job. The breeds official club was opened in 1912 and they became popular in Germany as well as Austria and Hungary. 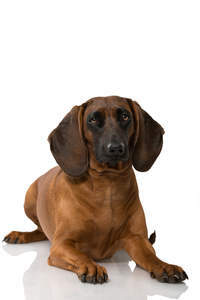 The Bavarian Mountain Hound is a steady, even tempered dog that likes to be around it's people. They can appear shy around strangers but are rarely aggressive, just cautious and will watch from a distance. They will warn you when someone is at the door, but are hopeless as guard dogs. They like children and will demand attention from everyone in the family, forming a very strong bond with those around them. 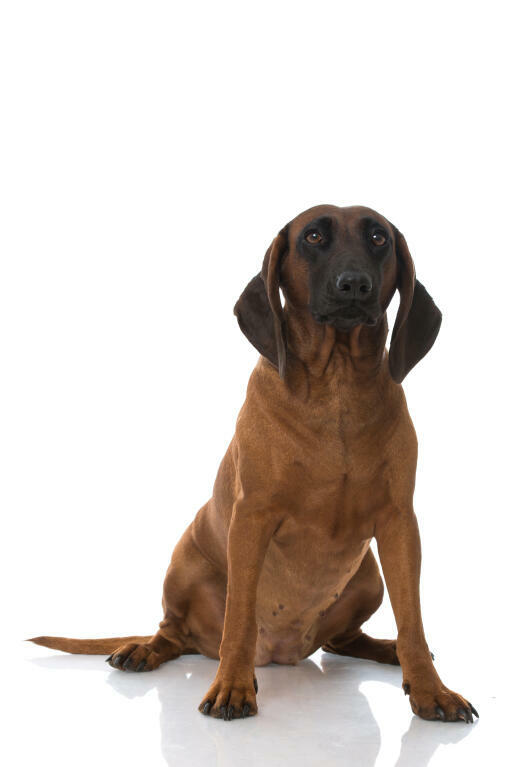 They dislike being left alone for too long and are best suitable to a family with someone around for most of the day as they can suffer separation anxiety. Due to their prey drive, some do not get along well with cats in the home. However, if raised together, they can co exist peacefully. When you are around them, they will happily cuddle up, with a wagging tail and affectionate licks. As a working breed, training should be straight forward and with some commands it will be. They need firm, consistent training and a variety of methods used to prevent them getting bored of learning. Recall is by far the hardest to train as they are tracking dogs and have been bred for centuries to follow the trail. They will chase the scent for miles if allowed off lead and no matter what you do or offer them, they won't come back. They are agile and fast dogs and you stand little chance of catching up with them if they do get away from you. BMHs need a lot of daily exercise and have high stamina when it comes to walking/running so well suited as a jogging partner. They need a job to do, so scent training and agility could be one way to keep them physically and mentally active. 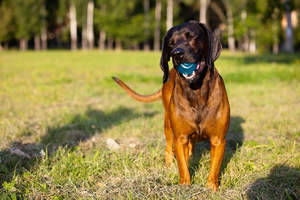 As long as they are outdoors, walking and with their family, they are quite content dogs. Their coat is smooth but dense to protect them from the undergrowth when out tracking and needs brushing a couple of times a week. They are very a healthy breed and suffer few ailments. They are hardy and cope well with injury and discomfort, so it is important to check on them as they hide illness well. 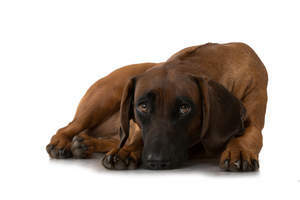 Canine Hip Dysplasia and Epilepsy have been seen in the breed, as have ear infections. 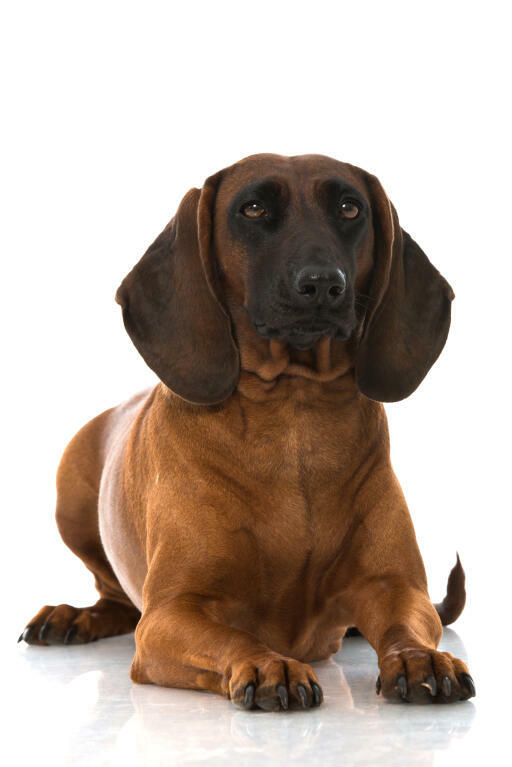 Bavarian Mountain Hounds have a devoted and courageous temperament. They are calm in the home and will be devoted to their family, but once out and in the countryside they come into their own and love to follow their powerful nose wherever it takes them. This can make them difficult to train especially combined with the stamina and athleticism that the Bavarian Mountain Hound possesses. 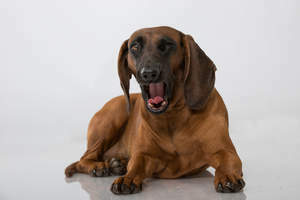 Health problems that may affect the Bavarian Mountain Hound include canine hip dysplasia (CHD) and entropion (inward rolling of the eyelid which can irritate the eyeball).